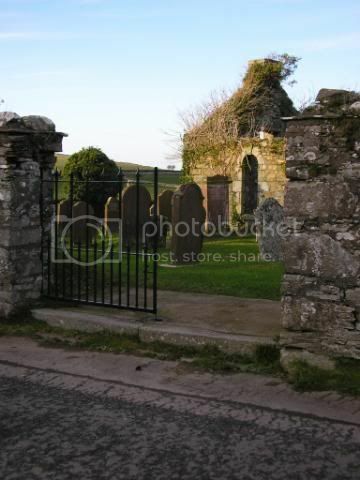 The old church is on the B7052, just off the A746, in the centre of Sorbie village. There is one CWG burial. Unit Text: 462nd Protection Coy. Pt. 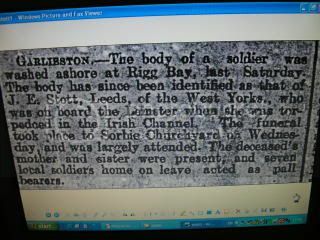 Stott is a victim of the RMS Leinster sinking. Born in Brighouse, Yorkshire he was formerly 37825, West Yorkshire Regiment. Many of his colleagues of the 462nd Company, who died in the same incident, are buried in Grangegorman Military Cemetery, Co. Dublin. The following is from the Galloway Gazette dated Sat 23 November 1918. I am not sure if this qualifies as a war grave but in view of his military decorations I have posted him. I am trying to find out his Regiment. 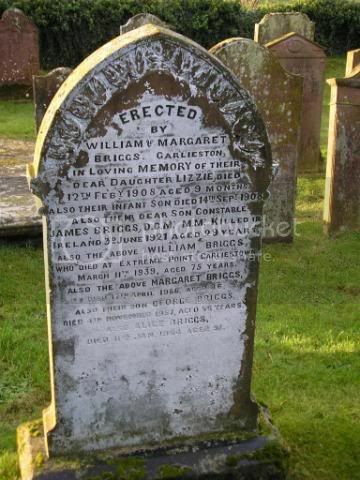 Constable James Briggs of the Royal Irish Constabulary was killed, with three colleagues, on 3 June 1921 in an IRA ambush at Modreeny, Co. Tipperary. It's not just war graves we are posting. Any headstones with military connections can be posted. Hopefully through the London gazette you'll be able to find out the DCM citation and the regiment. I take it he was in the Royal Irish Constabulary Reserve Force (The Black and Tans). I cannot find a reference on the Gazettes sites. 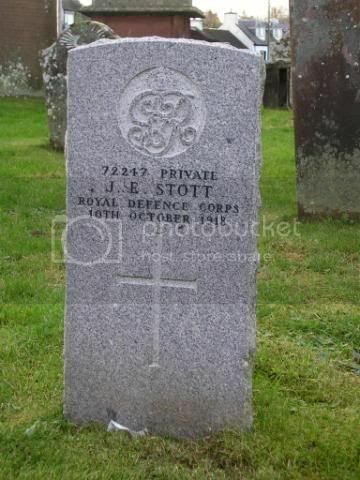 From a site with deals with RIC history, I'm reasonably sure that he was not a reservist (ie B&T) and there was a posting on the forum from his great-grandson - but it was made about a year ago so I'm hoping he is still using it and will see my post. 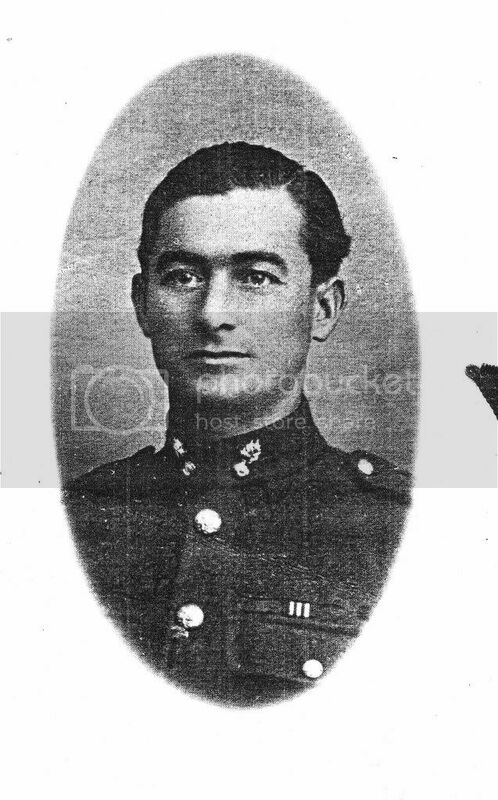 Information from the RIC Forum is that James Briggs served with the 2nd Battalion, Royal Scots Fusiliers. As far as I can find, there was not a 5th Battalion. There was a 1/5th but they served in the middle east and were not posted to France until April 1918. I've asked the guy who seems to run the Royal Irish Constabulary forum if he would post the information he has on James Briggs on this site. James Briggs joined the RIC on 25 Feb 1920. As such he would be classed as a 'Black and Tan' (ie a non-Irish ex-soldier recruited to bolster the strength of the RIC) though not a reservist. Prior to this he had served with the 2nd Battalion The Royal Scots Fusiliers (Corporal 14429) where he won the MM in August 1917 at Frezenburg for taking control of a unit when his commander was fatally wounded. 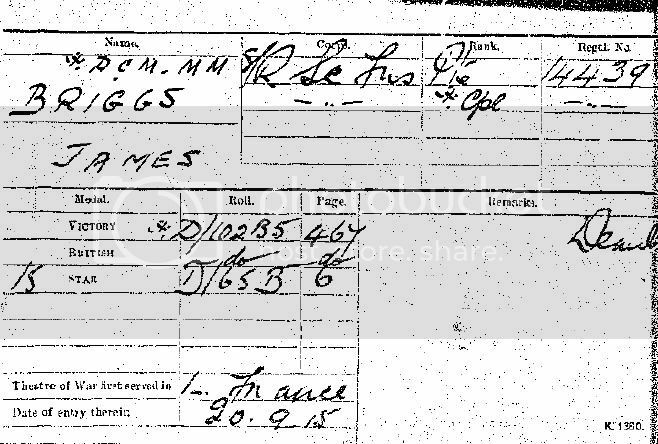 He received the DCM in October 1918 "for conspicuous gallantry and devotion to duty during operations east of Ypres. On the 5th October 1918 he located a machine gun post by a daylight patrol and during the night raided it, capturing two heavy and one light machine gun". He was known as 'Jock' to his comrades in the RIC and was killed when on a cycle patrol near Borrisokane in County Tipperary. Part of a 12 man group on their way to Petty Sessions, he died along with three other 'old RIC' and 4 more seriously wounded. When the earth held so many, it surely could spare? With one so loving, so dear to our hearts. He will live in my heart till life's journey is done. I'll be met at the gates by my dear hero son." 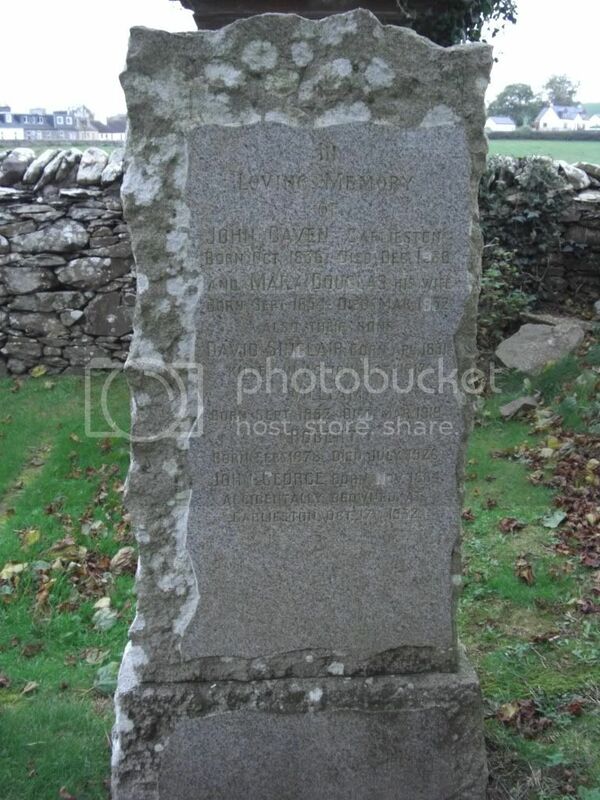 With the kind permission of the family, attached are two photos of James Briggs. In one of them he is seen wearing his gallantry medal ribbons. Thanks for posting the photographs. The top one must show him in the RSF with the grenade collar badges. The second one shows him in the uniform of a sergeant of the Argyll & Sutherland Highlanders. 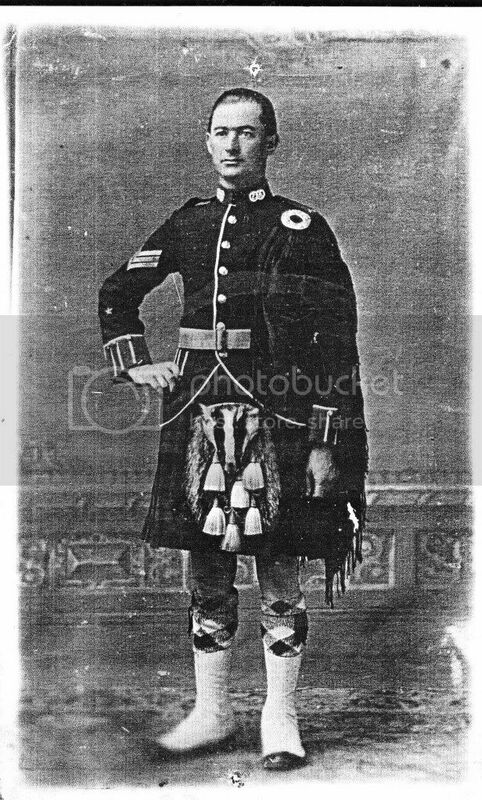 Interestingly it shows him in full dress which suggests a pre-war photograph but the belt is not the usual full dress belt and he is a sergeant so maybe it is Post-war? Maybe not though because he is not wearing any medals. Just had a telephone chat with Jim Briggs McKie a great-nephew of James Briggs and the reason for the A&SH uniform is that he borrowed it from a mate - because it looked so good!! 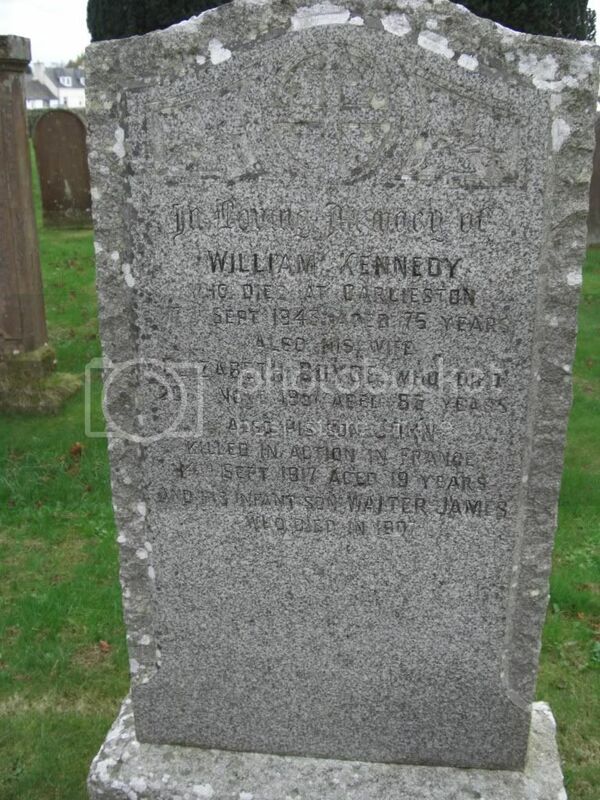 Additional information: Son of William and Elizabeth Kennedy, of Burnside Cottages, Garliestown, Wigtownshire. 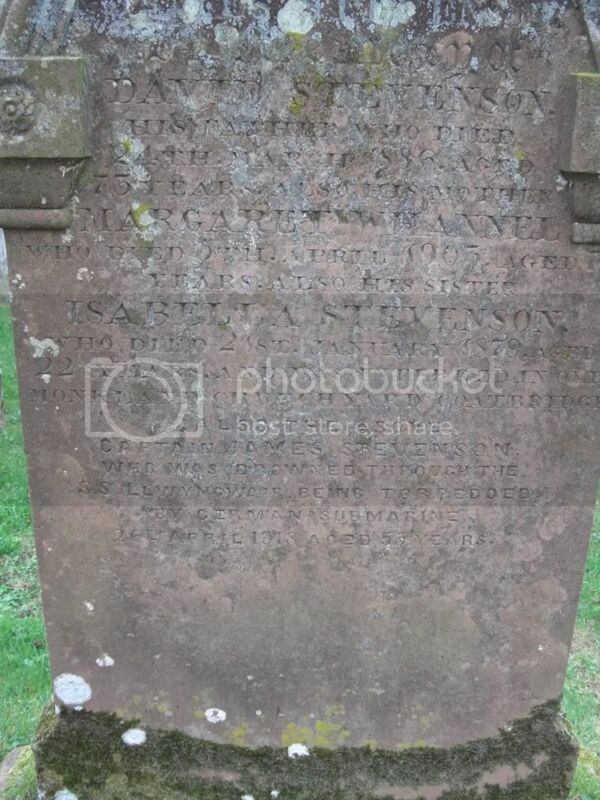 Additional information: Son of Mary Caven, of Garlieston, Scotland. 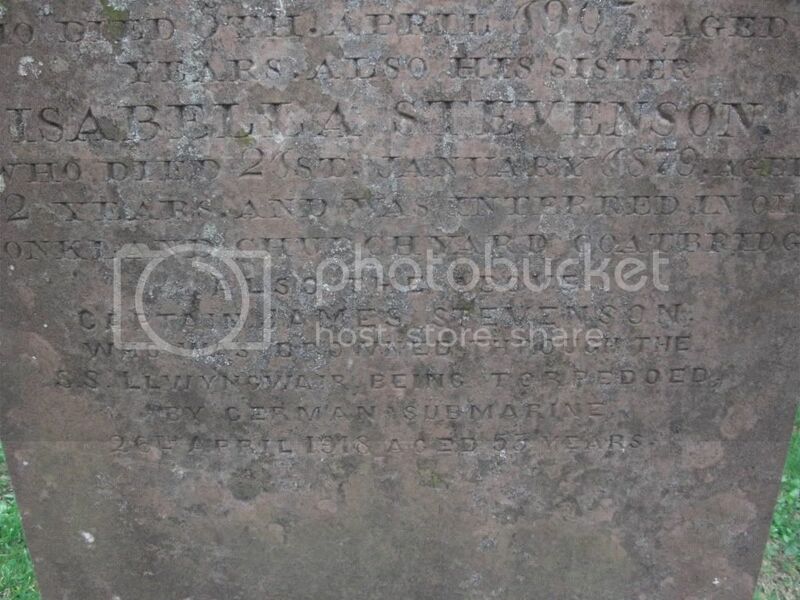 Additional information: Son of the late David Stevenson and his wife Margaret Whannel; husband of Annie Stevenson, of Bay View, Garlieston.